Naturally Caring for Families since 1999! That is what Fairy Tales Hair Care is all about, the first line of hair care for children to provide affordable, superior products for families. 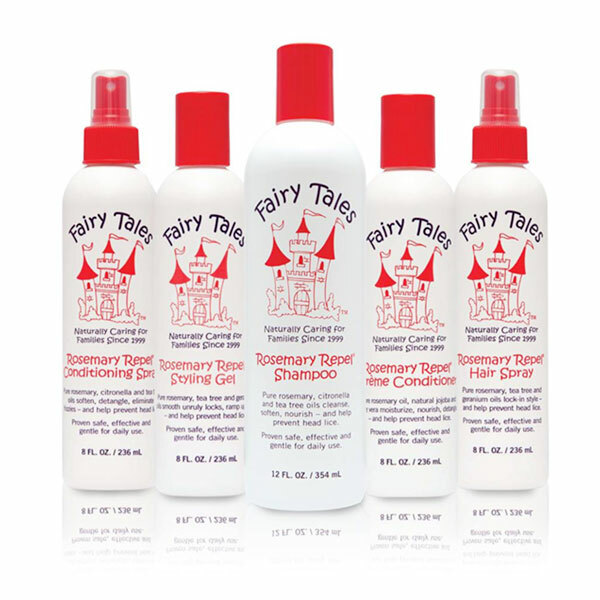 Fairy Tales Rosemary Repel® Hair Care line is the first to help prevent head lice using organic herbs of rosemary, tea tree, peppermint, lavender and geranium oils. They are paraben free, sulfate free, dairy, soy, nut and gluten free, too! Tami’s Head Lines is proud to offer a selection of Fairy Tales products for our guests in Windsor.